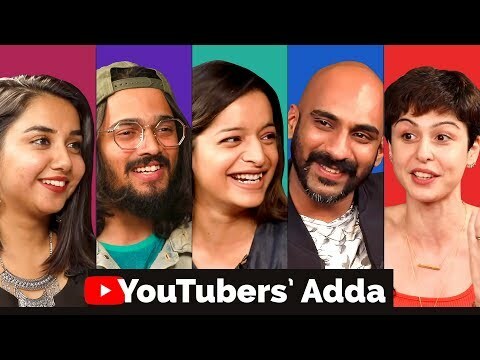 We get India's biggest Youtube content creators Bhuvan Bam, Prajakta Koli, Sherry Shroff, Lisa Mishra & Sahil Khattar into a room to discuss what makes them tick. In this roundtable conversation, Anupama Chopra asks them how much numbers drive their content, what their biggest challenges are, how they respond to the trolls and what the perks of online fame really are. The bloggers talk about their journey, how they stay rooted despite the popularity and how they integrate and partner with brands. Who is your favourite Youtube blogger? Tell us in the comments below. Have you subscribed to Film Companion yet? Join us here - Visit us at Do Like, Share, Comment & Subscribe to our channel. Subscribe: Follow Us On: The Film Companion is a web channel intended to promote Indian cinema through films review, interviews, discussions, video essays and analytical compilations. It is intended primarily for the purpose of encouraging informed discussions, criticism and review of cinema and towards such purpose the programs use short extracts of cinematograph films, sounds recording and photographic works. These clips and extracts are of a minimal nature and the use is not intended to interfere in any manner with their commercial exploitation of the compete work by the owners of the copyright. The use of works are in compliance with the fair dealing exception provided under Sec. 52 of the Copyright Act, and we asset our use of the works under the exception provided for criticism and review.